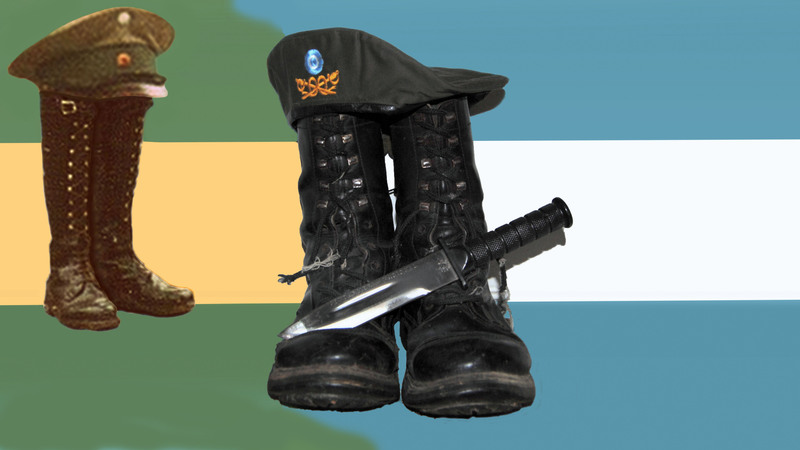 Gendarme (First Class), Escalafon General (Command), Region 1 (BSAS). 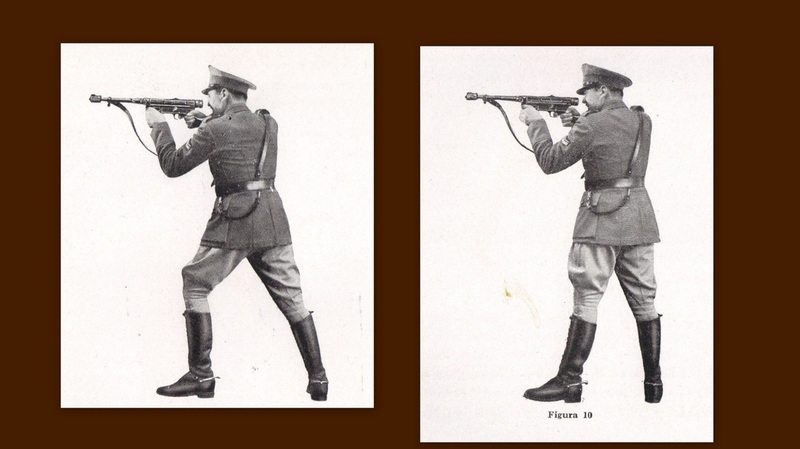 When the shoulderboards have a dark red, it is for a Command-Troops. When it is blue it is for an administrator. 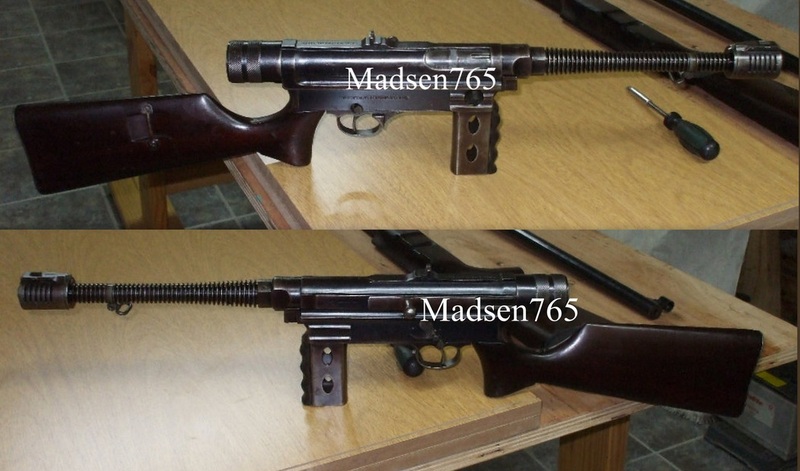 Yellow is for communications. 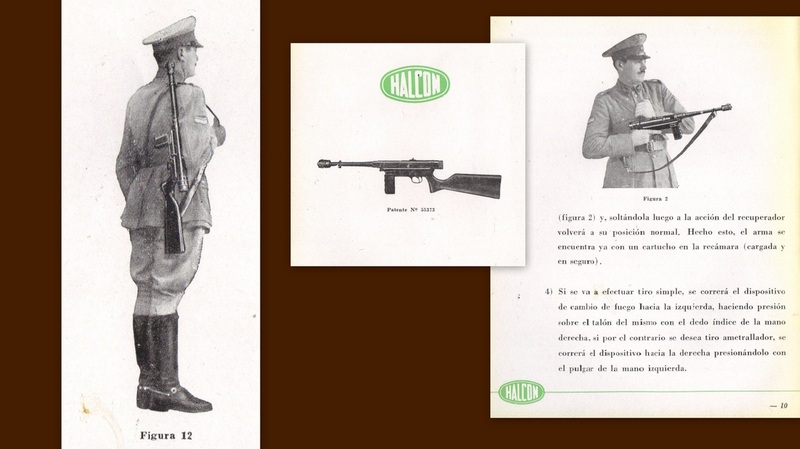 Above right: Uniform model 1938 for Argentine Gendarmerie. 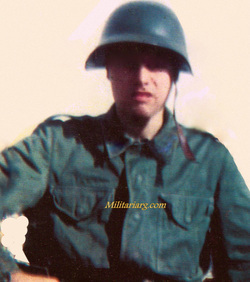 It has a visor hat with a region 1 insignia (Buenos Aires), the hat is in sand grey color (the same as the britches) and the hat band olive green. 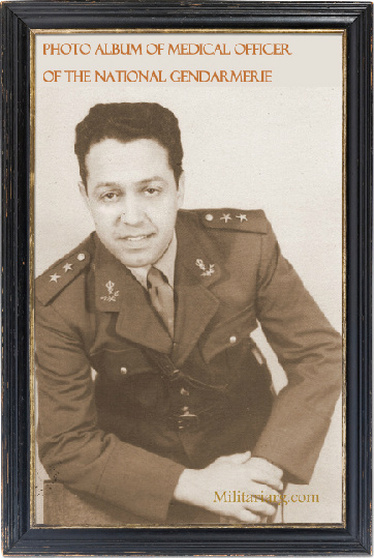 On the rectangular collar patch background, the shoulder board border and the piping are red, a variant of red color was the branch of cavalry between the 30s and 50s, but in Gendarmerie it is the color of 'general escalafon' or 'comando' in a green jacket, and crossed strap. 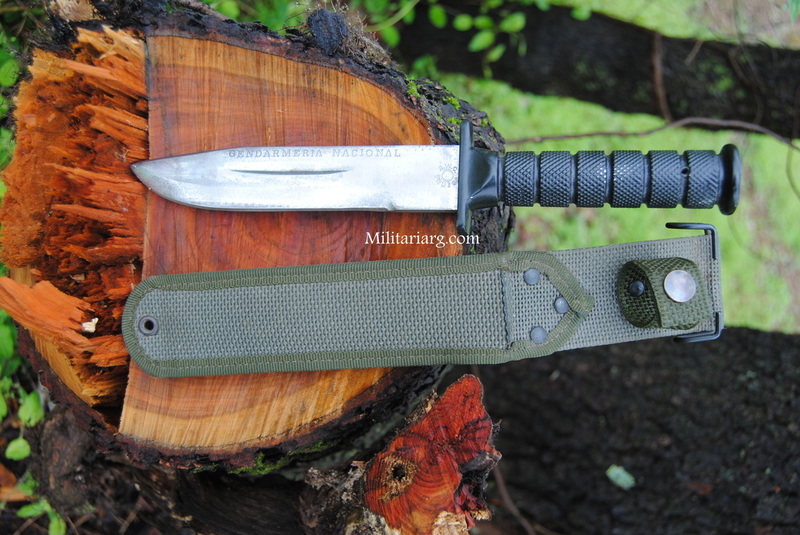 The strap sustains a 1911 holster. 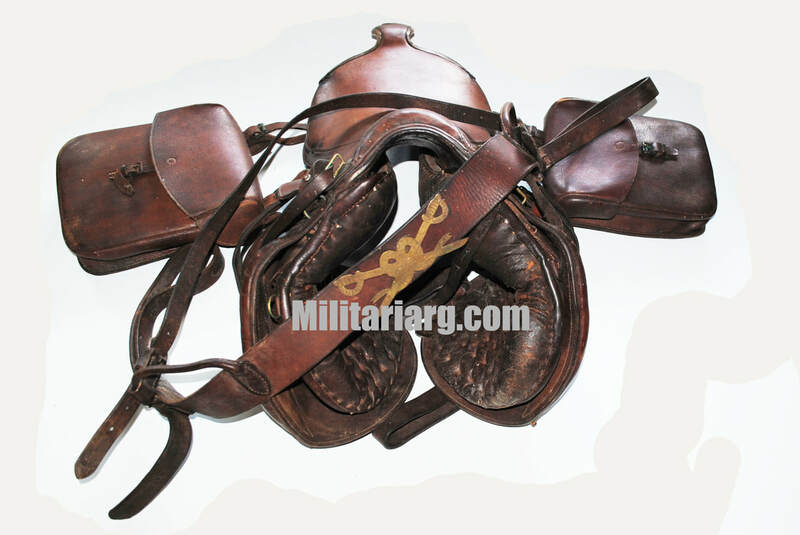 The other strap sustains the scabbard. 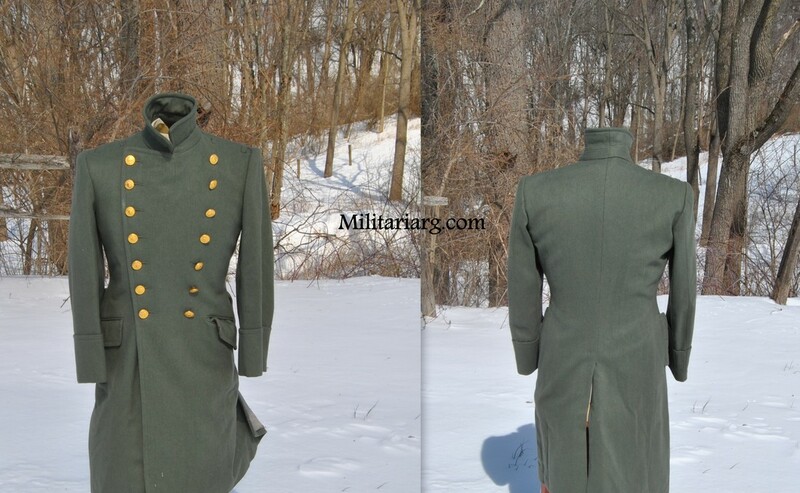 It also has tall boots and a cavalry sabre. 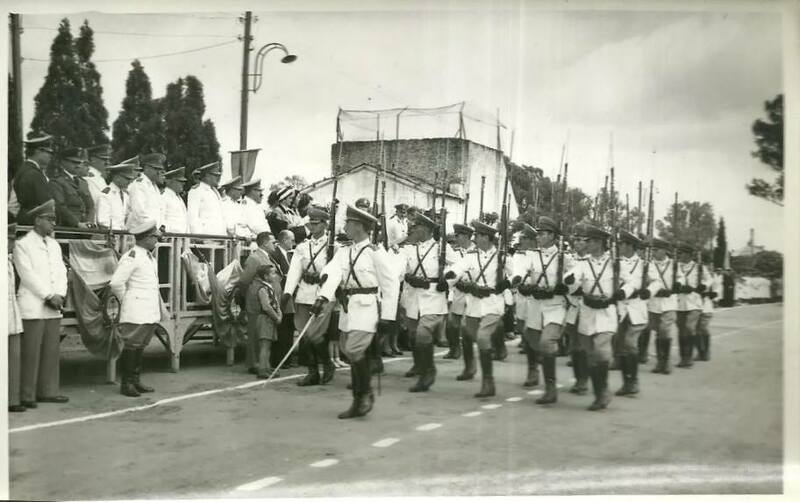 Above: This photo is from 1950 showing a parade celebrating August 17, the Day of San Martin. 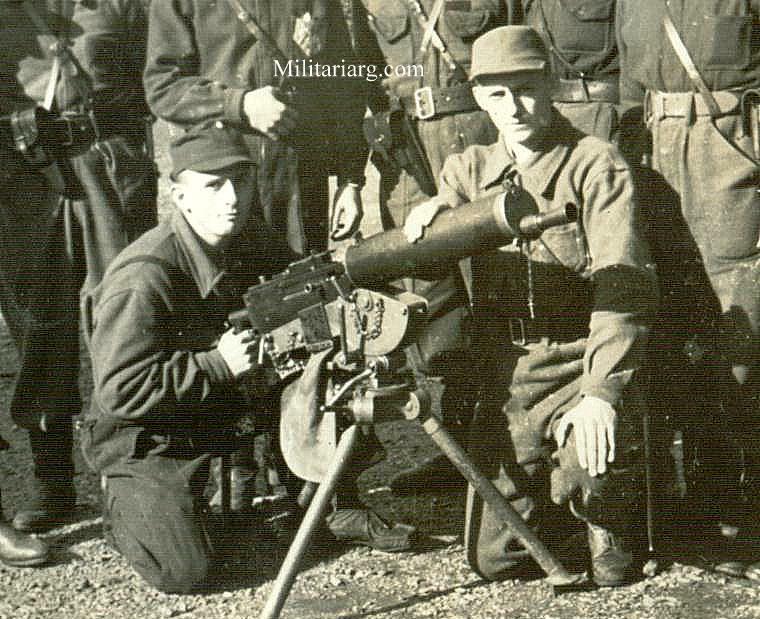 The group is carrying the Halcon M/943 calibre .45ACP. 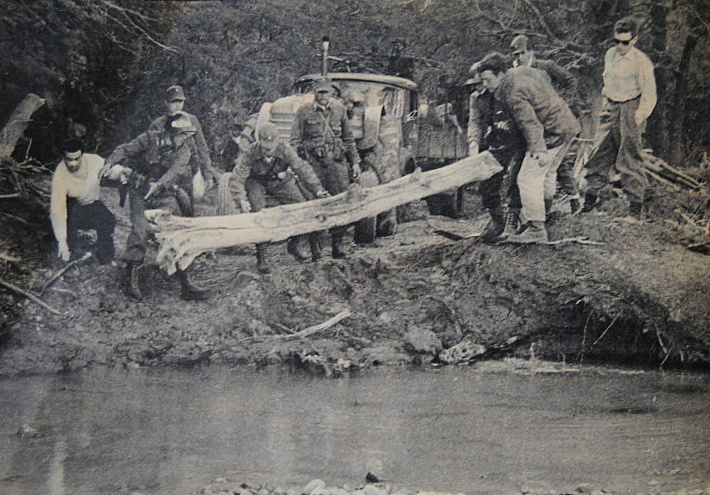 Photo is from a government publication of the time. 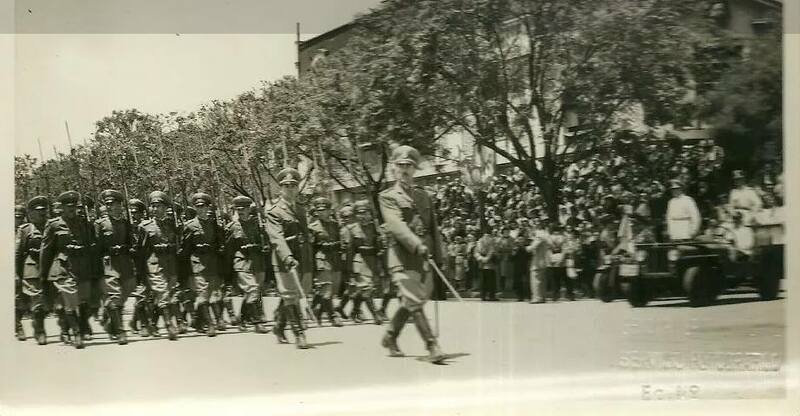 The Argentine Gendarmerie (a kind of national guard) was created in 1938 by decree from the Argentine congress to replace the military unitiies that had, up to that point, protected the country's borders. 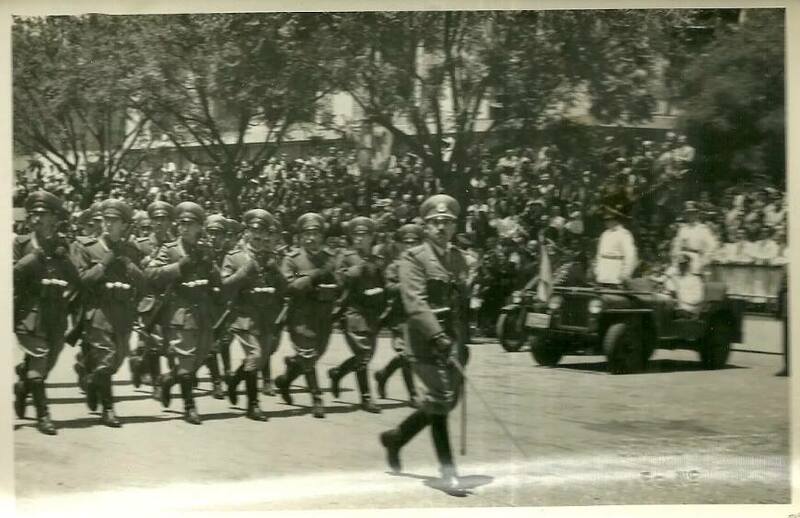 In order to form the first squadrons, volunteers were solicited from different cavarly ranks. 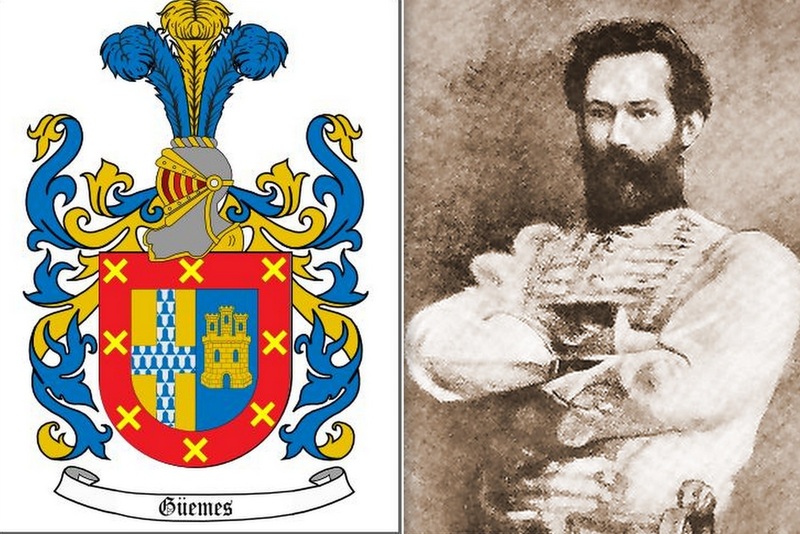 That is the origin of the symbol of the crossed sabres and the historic uniform that bears a cavalry sabre as we see in the photo. 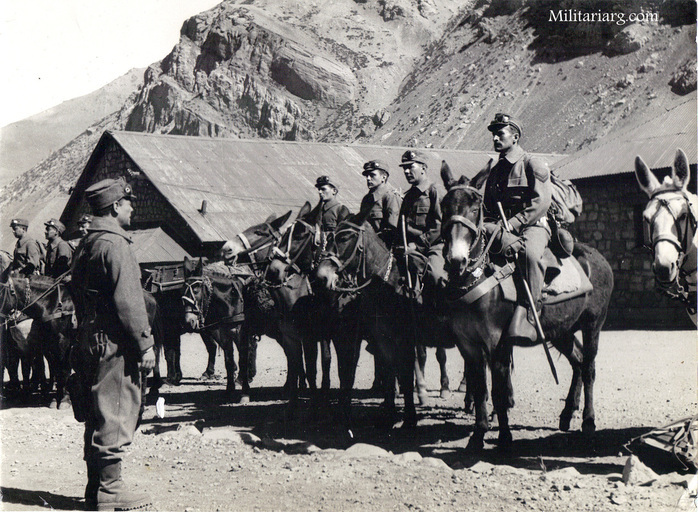 In the 1930s the horses in the pampas and the mules in the mountains were found to be a fundamental tactical element for the gendarmerie's patrols, although they were also equipped with vehicles from the military stock. 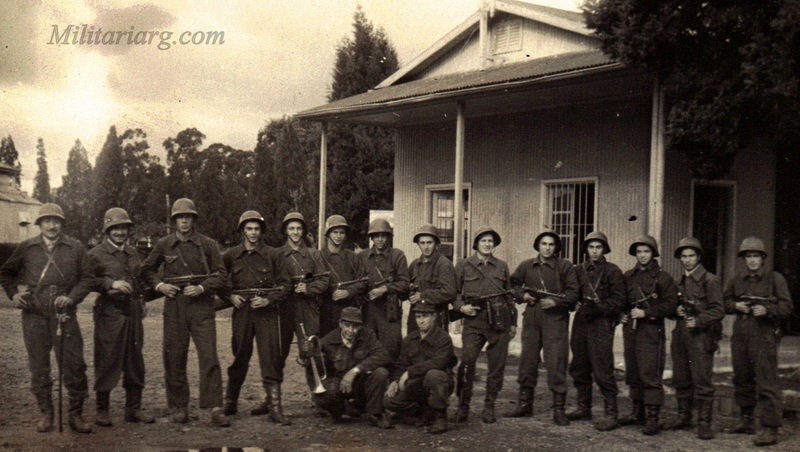 The hierarchy and chevron ranks are the same configuration as the army. 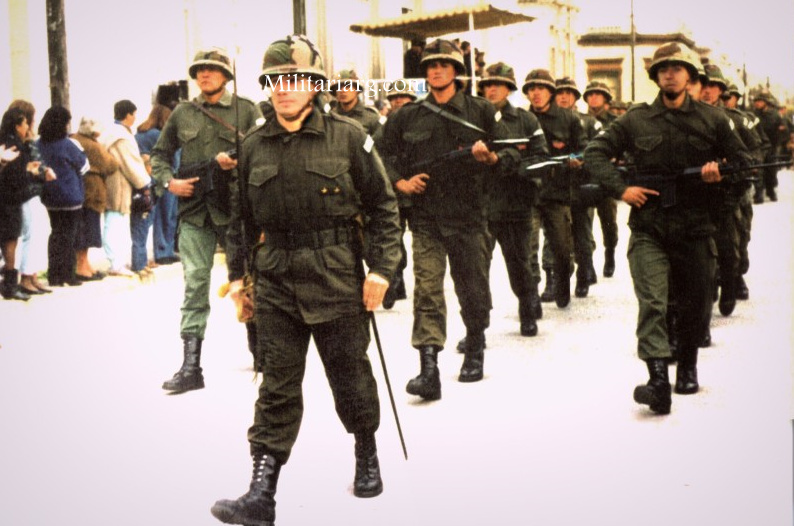 Namely, there were NCOs (non-commissioned officers) but the officers adopted the titles Ensign and Commander..
Photo from 1980s of gendarmes which shows various cap types (ridgeway on left, hot weather on right, and green beret lower right). 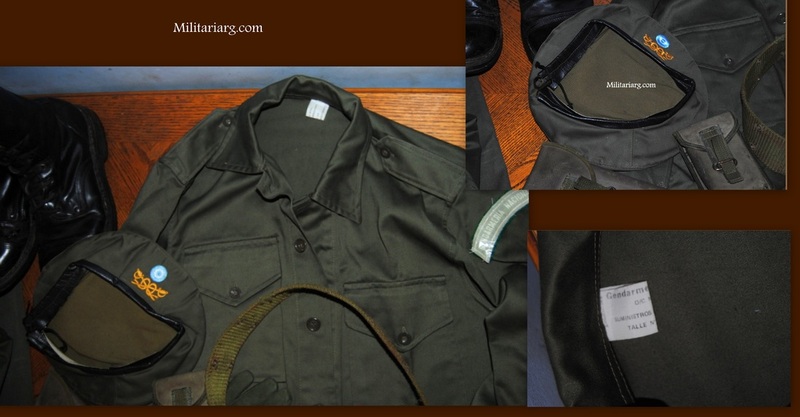 Argentine Gendarmerie kepi from 1980s in the style of an American Ridgeway Cap in olive green. 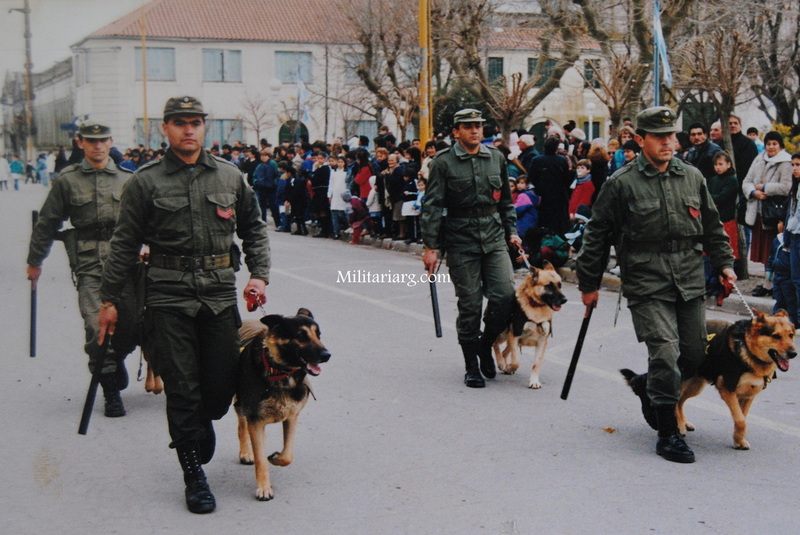 Argentine National Gendarmerie circa 1990. 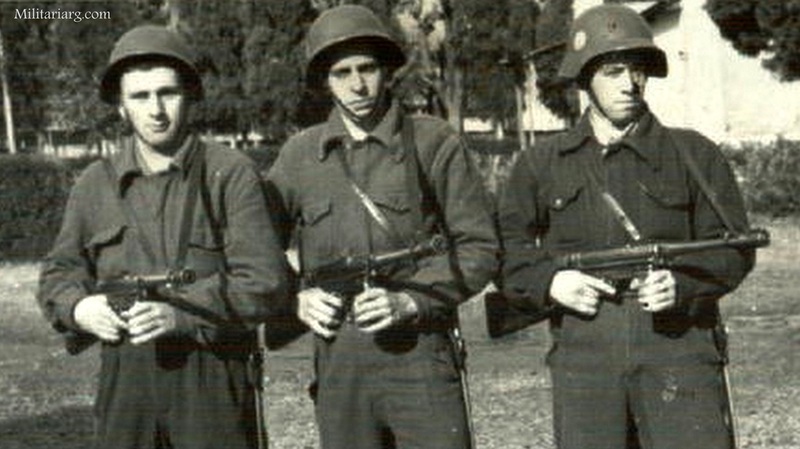 Observe the half-moon like patch on the soldiers' left arms. 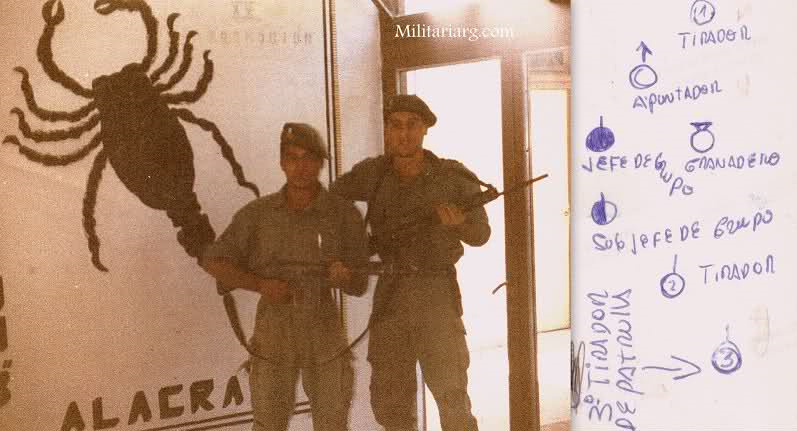 It said "Gendarmeria Nacional" in a white plastic over a green felt. 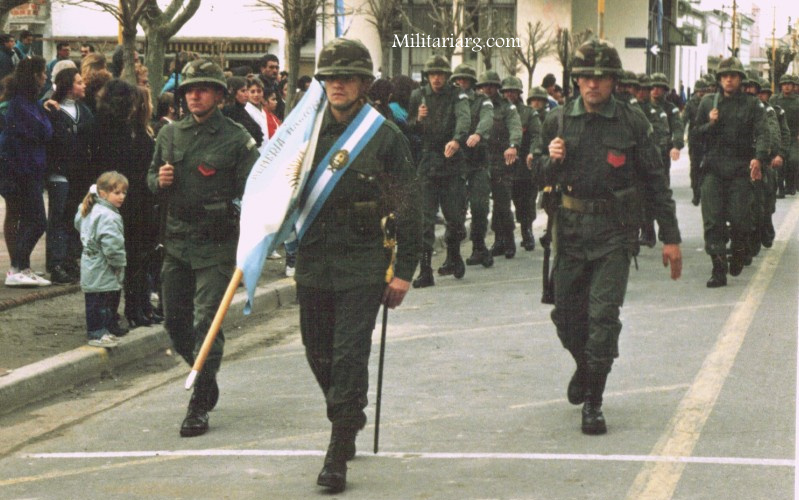 The second version of this patch appeared in the 1990s and included the Argentine flag. 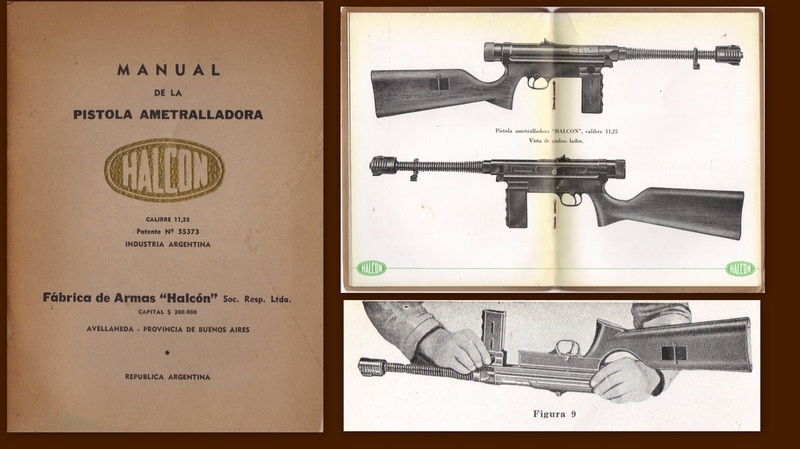 Images from the Gendarmeria Nacional (Museum). 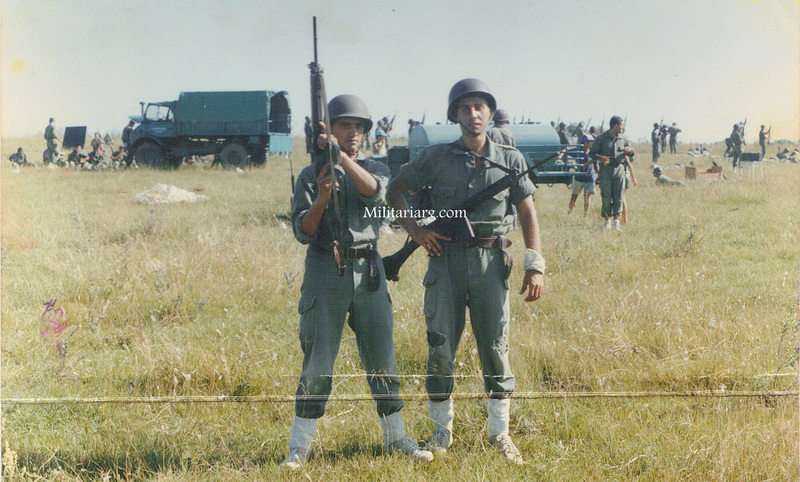 Combat boots model Gendarmeria Nacional, made by Marasco & Speziale.